Available in 4 color options. Click any of the 'Buy It' links below to see the color options available at each store. The 515 from New Balance Classics offer the ideal combination of a classic sneaker with modern, vibrant colors. CLOSEOUTS. Retro, classic, oh-so funky. 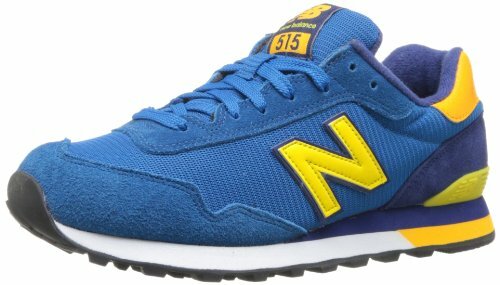 New Balanceand#39;s 515 sneakers offer a throwback look in a cushy, comfortable walker thatand#39;s ready to take on your urban adventure. Available Colors: NAVY/ORANGE, WHEAT/BLACK, BLACK/ORANGE, GREY/GREEN, GREY / BLACK, NAVY/BLUE, WHEAT/NAVY, BLACK/GREY, BLACK/BLUE, MERCURY RED, BLACK, DARK CYCLONE, TEMPO RED. Sizes: 7, 7.5, 8, 8.5, 9, 9.5, 10, 10.5, 11, 11.5, 12, 13, 14, 15, 16, 17, 18, 6.5. 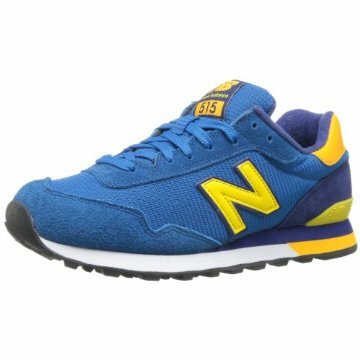 Feauring a comfy midsole and durable outsole, these men's New Balance 515 sneakers will give you a modern look. Shoe Features Padded collar and tongue for comfort Cushioning REVlite midsole Durable traction sole Shoe Construction Synthetic mesh, suede upper Synthetic mesh lining REVlite EVA midsole Rubber outsole Shoe Details Round toe Lace-up closure Padded footbed Size: 9 Ew 4E. Color: Blue. Gender: Male. Age Group: Adult. Store: hammr007 Condition: Brand New Price: $59.00 Total Price: $59.00 Buy It from hammr007 No returns. Store: PRODUCTS 360 Condition: Blemish Price: $58.00 Total Price: $58.00 Buy It from PRODUCTS 360 No returns. Store: augiesfv Condition: Brand New Price: $45.00 Total Price: $45.00 Buy It from augiesfv No returns.